The same Midrash also connects the seven days of Passover to the seven days of the week. The Lubavitcher Rebbe, Rabbi Menachem Mendel Schneerson, of righteous memory, explains (based on Maimonides’ Mishneh Torah5) that if you analyze the words of the Midrash you will see that it is conveying a profound lesson, which has halachic ramifications. There is a mitzvah to remember the Exodus every day—not just on Passover. However, the “remembrance” that we are enjoined to do on Passover is very different from what we do daily. Remembering that “G‑d took us out of Egypt” can suffice for the daily mitzvah. But when it comes to Passover, the remembrance needs to be of a different quality. For example, there is a mitzvah to remember Shabbat. Although we keep Shabbat by abstaining from doing forbidden work (i.e., abstaining from the negative), the main way of remembering and sanctifying the Shabbat is through doing the positive actions: lighting candles, resting, making kiddush and having a festive meal. So too, when it comes to Passover, the mitzvah of remembering the Exodus is not simply to stress the removal of the negative, the fact that we were taken out of slavery in Egypt. But on the positive side, we should stress the miracles that G‑d performed and the “essential freedom” we achieved through the Exodus on Passover, which transformed the essential nature of the Jewish people. The Kabbalists explain that the service of a baal teshuvah (one who repents and returns to G‑d) results in a supra-rational revelation of G‑dly energy. After all, the natural order of things is that crime results in punishment. In order for G‑d to forgive, He rises above the natural cycle. In the created order, the Divine energy comes through the seven attributes (kindness, severity, etc.). When G‑d circumvents the natural order, as it were, the result is something above and beyond the seven attributes. Rabbi Schneur Zalman of Liadi explains that Passover and Sukkot, which are both celebrated for seven days, represent the natural order. Shavuot, on the other hand, comes after 49 days of the Omer, in which we work on refining ourselves, attaining the status of a baal teshuvah. The result is a revelation that is above the regular order of the world, so it is a one-day holiday. See for example, Exodus 12:15-16, 13:6-7; Leviticus 23:6; Deuteronomy 16:3-4. Rabbi Chaim Palaggi, Zechirah L’chaim, To’amehah Chaim 9. Likutei Sichot, vol. 21, p. 68. See Maimonides, Guide for the Perplexed 3:43. See Teshuvot HaRashba 1:9; Torat Shmuel, 5633, vol. 1, p. 75; 5637, p. 113; see also Guide for the Perplexed 3:43 and commentaries ad loc. See commentary of Rabbi Eliyahu Mizrachi on Deuteronomy 16:3, quoted in Tzemach Tzedek, Ohr Hatorah Vayikra, vol. 3, pg. 731; Sefer Halikkutim, Pesach, p. 58. Torah Ohr, Hosafot, Yitro 109d; see also Likkutei Sichot, vol. 18, p. 118; Sichot Kodesh, 5724 13th of Iyar, p. 303. 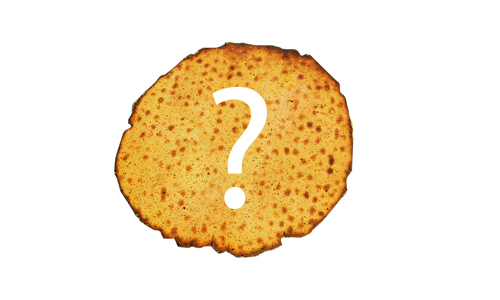 The Tzemach Tzedek in Sefer Halikkutim, Pesach, p. 58, distinguishes between the the revelation that took place the first year, which is represented by the command, or rather “decree,” from G‑d to eat matzah only that first night (and which is unrelated to the dough not having been able to rise), and the revelation that occurs in subsequent generations, which corresponds to a more “internalized” revelation and has to do with there not being enough time for their dough to rise during the Exodus (and the subsequent seven days). "Rabbi Yose Hagelili says, "From where can you [derive] that the Egyptians were struck with ten plagues in Egypt and struck with fifty plagues at the Sea? In Egypt, what does it state? 'Then the magicians said unto Pharaoh: ‘This is the finger of God' (Exodus 8:15). And at the Sea, what does it state? 'And Israel saw the Lord's great hand that he used upon the Egyptians, and the people feared the Lord; and they believed in the Lord, and in Moshe, His servant' (Exodus 14:31). How many were they struck with with the finger? Ten plagues. You can say from here that in Egypt, they were struck with ten plagues and at the Sea, they were struck with fifty plagues."